All 20 Vera Bradley promo codes have been verified and tested today! Want to hear about all the latest Vera Bradley fashions, patterns, and news? Subscribe to the email newsletter to find out about Vera Bradley promo codes and everything else you want to know about, so you can keep shopping and saving. Always on the go? Text TEXTTVB to 82275 and start receiving Vera Bradley mobile alerts. You’ll get notified on all the best Vera Bradley deals and discounts, in-store and online. You can also connect with Vera Bradley on Facebook to learn about new patterns, events, and savings opportunities. You’ll also find great posts with fashion and style inspiration. Plus, you can hear more about how Vera Bradley donates a portion of its profits to charities, so you can feel like you’re making a difference when you shop. Do you know about Vera Bradley’s biggest sale that it hosts every year? The Annual Outlet Sale is their most well-known sale and it has been happening since Vera Bradley launched its first store. People from all over the country and different parts of the world gather to get the biggest deals of the year in the Memorial Coliseum in Fort Wayne, Indiana. The event runs for 5 days and you can find amazing deals to get 40-60% off original retail prices on all sorts of Vera Bradley products. In honor of the big event, you can also participate in an outlet sale on their website, to save big in the comfort of your home. The last outlet sale featured 30% off all styles in the online store - that’s not a bad way to celebrate such a big event. Want to help your friends save on their favorite Vera Bradley styles and get a coupon to use for yourself? You can refer as many friends as you’d like to save $15 on their purchase. Once your friends make a purchase using the Vera Bradley coupon you sent them, you’ll receive a $15 Vera Bradley coupon in your email to use on your next order. You can invite your friends via email, Facebook, and Facebook messenger through the Vera Bradley website. Want to get all your favorite patterns shipped to you for free? Spend over $75 online and you’ll immediately get a Vera Bradley discount code for free shipping applied to your order. Have less than $75 in your shopping bag? Keep your eyes peeled for coupons featuring free shipping with no minimum purchase. They pop up all throughout the year so don’t miss this great deal for your next purchase. Not completely satisfied with your order? You have 60 days to return your items for a complete refund. Return the items you purchased in-store or online with the original receipt and either receive in-store credit or money back on your credit card. If Vera Bradley doesn’t have proof of your purchase you can also get refunded in the form of an Electronic Gift Certificate that can be used in retail stores or on verabradley.com. Love to travel in style? Be fashionably ready for your next trip with Vera Bradley coupons on all sorts of travel gear. Save on all your favorite styles and patterns throughout the year. You can even get big discounts on all of the latest and limited-time patterns and fashions. 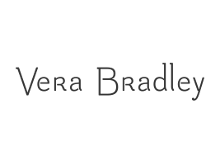 Check back often, Vera Bradley coupon codes are added frequently and are always changing. When you use a Vera Bradley coupon code, you can spend more on your vacation and less on your luggage and accessories, so you can jet-off in style. Get the best deal of the year, every day when you shop all of your favorite styles and patterns in the Sale section. Plus, you can even apply Vera Bradley coupons to your sale items to save even more. The best part of the Sale is that styles are always being added. This section always features some of the most colorful and cheerful items in the store, and no one would never know you got a big discount. You might even get lucky and find a Vera Bradley promo code for a big discount exclusively for Sale items. One recent promo code helped you save an extra 30% off of sale items plus free shipping on your whole order. Keep up with the seasons with Vera Bradley seasonal sales throughout the year. There’s nothing better to get you in the seasonal spirit than a great deal in your favorite store. You can even find discounts of up to 75% off on select colors, styles, and patterns during other limited time sales, including Black Friday and Cyber Monday. Plus, Vera Bradley might even give you free shipping on your order with no minimum purchase. You can find out more about seasonal and limited time sales when you sign up for Vera Bradley email notifications.